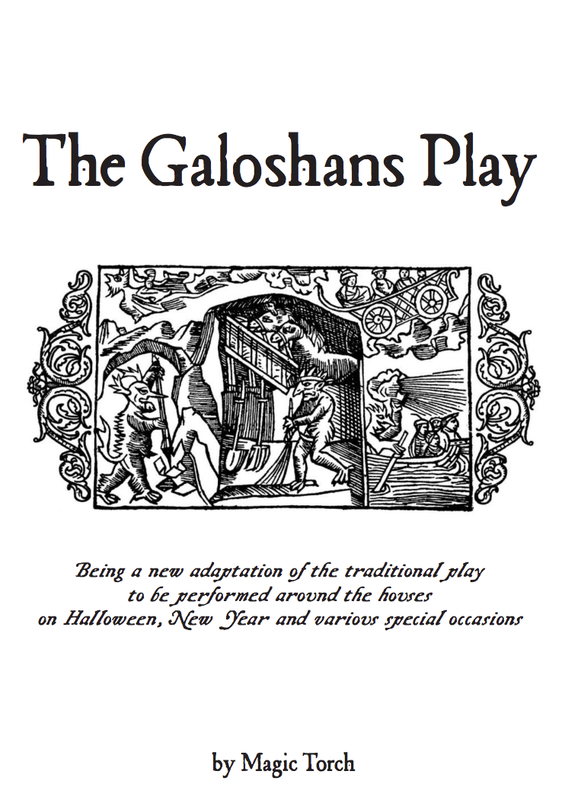 Now that it's officially October, it's exactly the right time to start rehearsing your Galoshans Play. In 2016, Magic Torch received funding from Heritage Lottery Fund Scotland to help revive the tradition of performing The Galoshans Play. 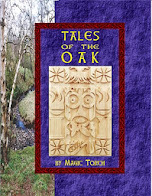 I wrote a new version of the play which includes characters from the myths and legends of Inverclyde as the main characters, including Auld Dunrod, Granny Kempock and Captain Kidd. This year, RIG Arts have worked with local schools to create gigantic puppets of the local folk characters from the play - and you will be able to see them during the parade on Saturday 28th October. 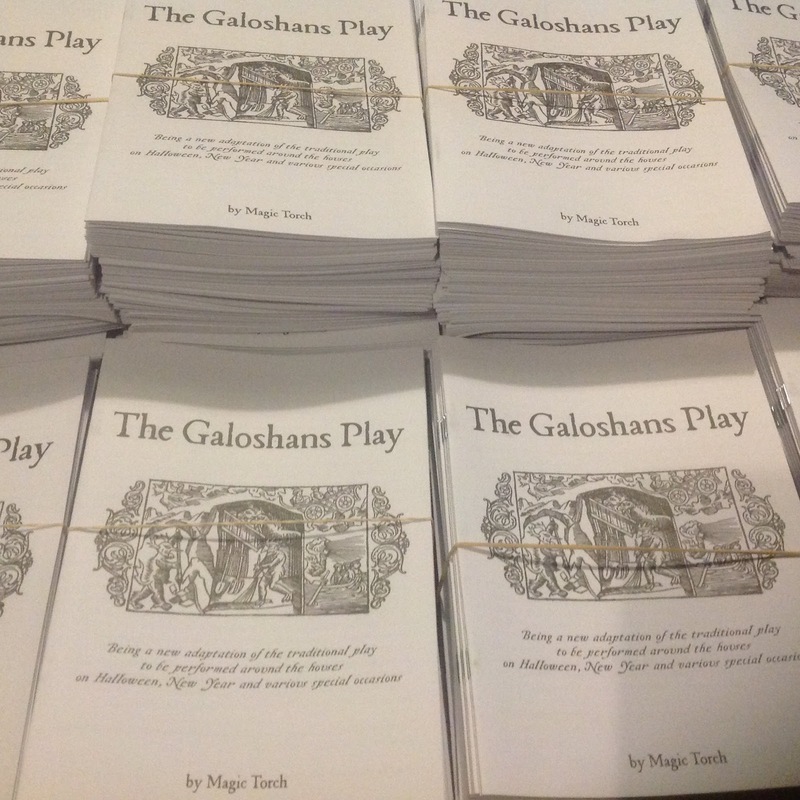 Over 6000 free copies of The Galoshans Play were distributed to local primary schools last year, but if you didn't get one, fear not - you can still download it for free. Or there are a limited number of copies available from 7 1/2 John Wood Street - you can come in and pick them up for free. You can see some of the videos from last year or read more about the history of the Galoshans on our dedicated page. And of course Halloween is the ideal time to purchase and enjoy some of Magic Torch's award winning spooky books and comics featuring scary stories from Inverclyde and beyond, including our "Dad's Army with witches" all ages comic The Skeleton Key. In 2016 as part of the Heritage Inverclyde - A Quest For Learning project, Mhairi and I worked with pupils from Ardgowan Primary School, to begin adapting the tragic tale of the Arran Stowaways as a graphic novel. Our version of the story is taken from the work of one of our favourite local writers of yesteryear, John Donald - author of Old Greenock Characters. 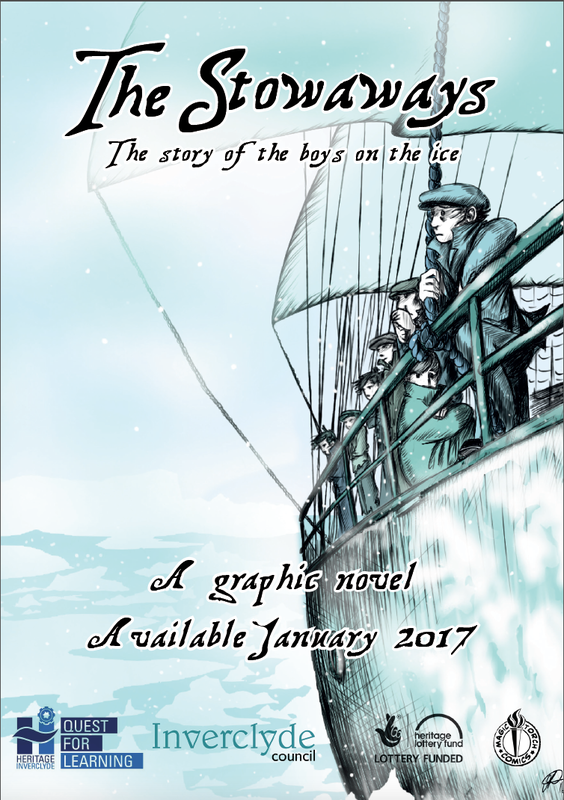 Free copies will be available from Inverclyde Libraries and 7 1/2 John Wood Street in Port Glasgow from Friday 20th January. It will later be made available to read for free online. Amazingly, this week, as a result of an article in the Scotsman newspaper, we were contacted by the Great Granddaughter of one of the Stowaways - John Paul. She was delighted to hear that the story of her great grandfather was being retold. 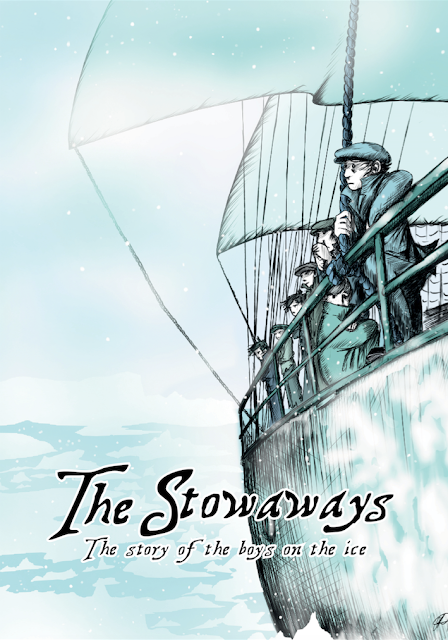 The story of the stowaways is a sad one, but it is heartening and humbling to realise, that some of those boys were able to build new lives and families for themselves - and that those families are still around today, remembering them. Occasionally, it's a beautifully small world we live in. 2016 was, lets be fair, a pretty rubbish year on many levels. 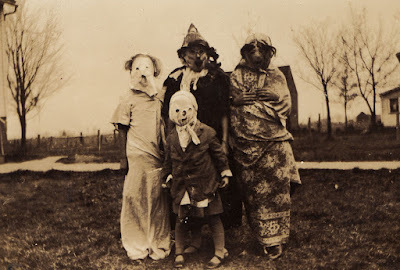 However, in between the moments of inescapable darkness, teetering over chasms of endless despair, Magic Torch did have great fun with our projects. There was our awesome 22 Pages exhibition at Paisley Museum - which reinterpreted key Scottish events and characters as comic book covers. Hopefully, more folk will get a chance to see the exhibition again next year. 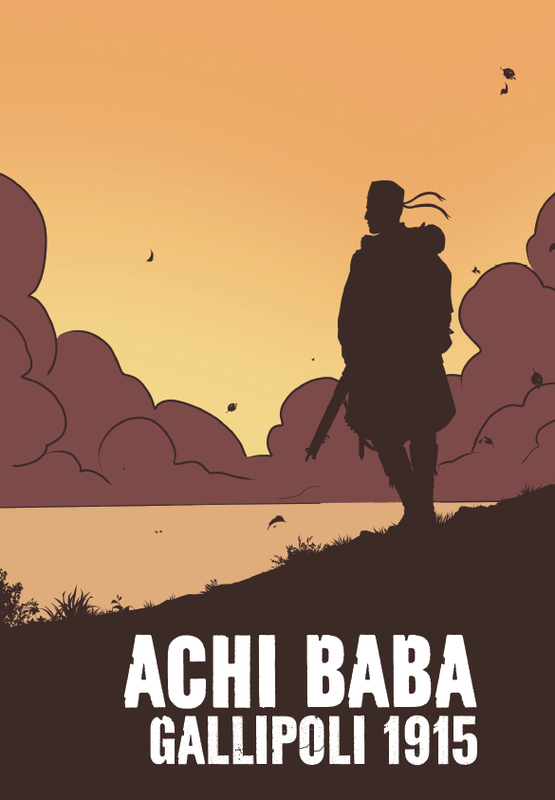 Our First World War graphic novel Achi Baba - Gallipoli 1915, won a national award for innovation from the Community Archives and Heritage Group. You can still read Achi Baba for free online. We were supported by Heritage Lottery Fund Scotland and Inverclyde Place Partnership to reinvigorate the tradition of performing a Galoshans play at Halloween. 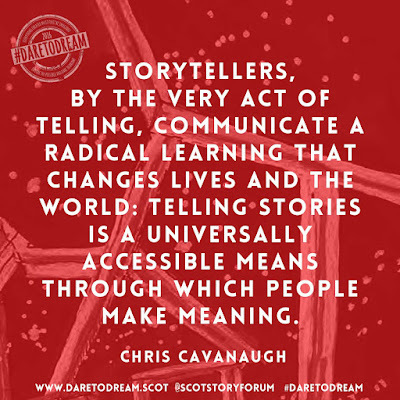 We created a new version of the play, which you can read and download for free, and film-maker David Newbigging filmed the projects workshops in schools and also a performance of the play by our new Galoshans Troop volunteers. 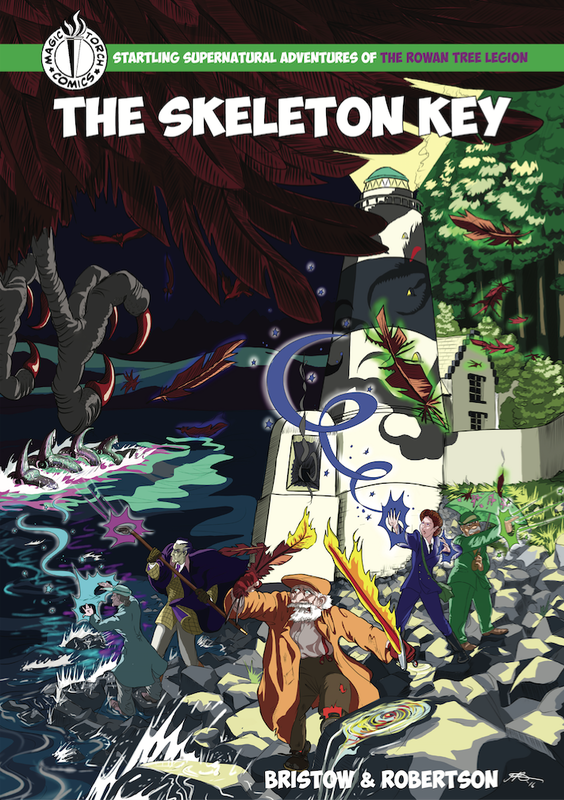 We published our first adventure of the Rowan Tree Legion - The Skeleton Key - a Dad's Army with witches romp, inspired by local legends and featuring a few local landmarks. 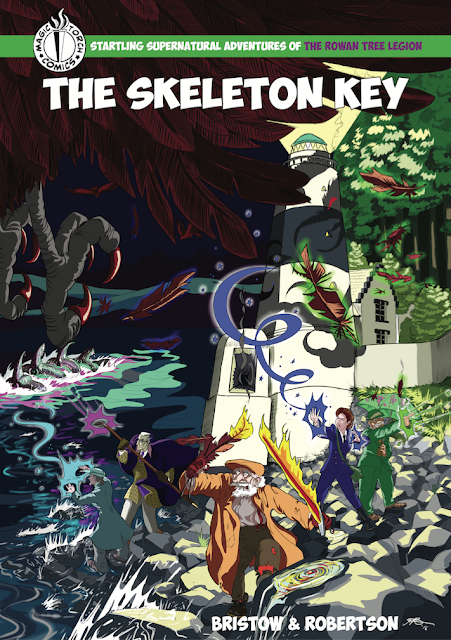 Skeleton Key is available from the Magic Torch Comics shop. 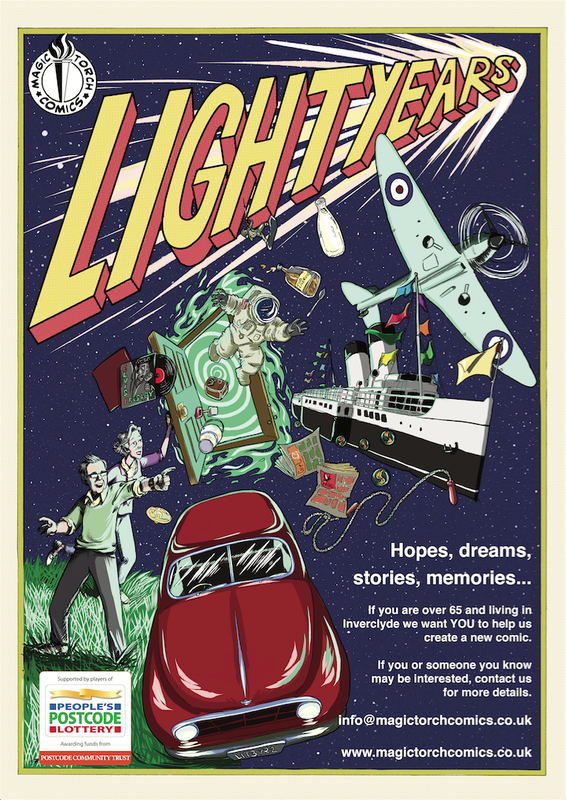 And of course, more than anything else, we made lots of comics this year, with Magic Torch Comics getting support from Firstport to develop into a separate educational social enterprise. We created comics with Whinhill Primary, Gourock Primary, Newark Primary and Ardgowan Primary. All this years comics, with schools and for various events, can be read for free on our Magic Torch Comics ISSUU page or below. 2017 is the Scottish Year of History, Heritage and Archaeology - and we have a few projects lined up already. Comic wise we have our adaptation of John Donald's The Stowaways created with Ardgowan Primary for the Heritage Inverclyde project. 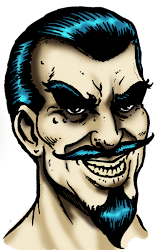 And we will finally be publishing our Captain Kidd graphic novel in May. We'll also be working on a new comics project with Notre Dame High School. And hopefully, we'll be delivering on our new interactive fictions project IF / Then - with all sorts of unusual creative outputs. Fingers crossed. 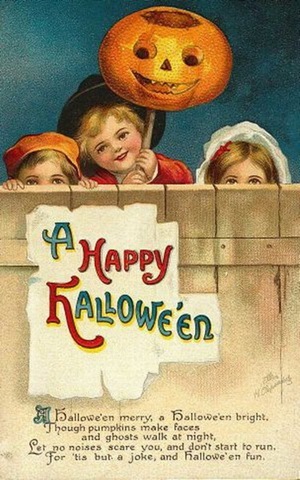 For now, be merry, be safe, share stories and hugs with your nearest and dearest. 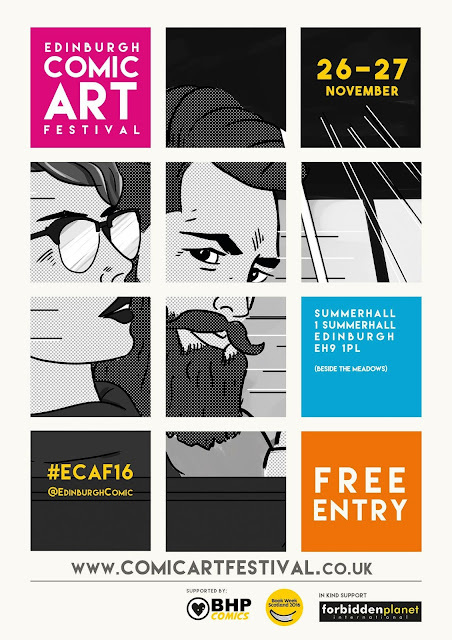 In November, we're delighted to be presenting on the work of Magic Torch Comics at two fantastic events. On Saturday November 19th, we'll be up in Inverness at the From Heritage to Creativity workshop in association with Scotland's Urban Past and the Dare To Dream Storytelling Festival. 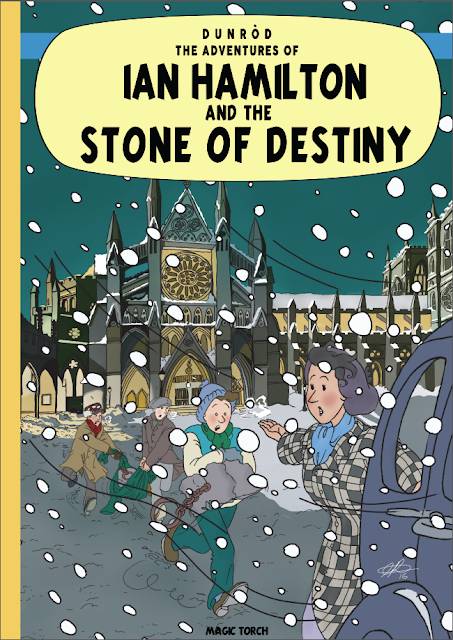 We worked with the SUP team and Newark Primary School on our Ghost Train comic earlier in the year, and as well as showcasing some of that work, we'll be running a workshop on creating your own comics. On Saturday November 26th, I'll be through at the Edinburgh Comic Art Festival, presenting on Community Comics and Cultural Identity. Back in September, Magic Torch were delighted to have Adam Leitch from Inverclyde Academy along on his work experience. 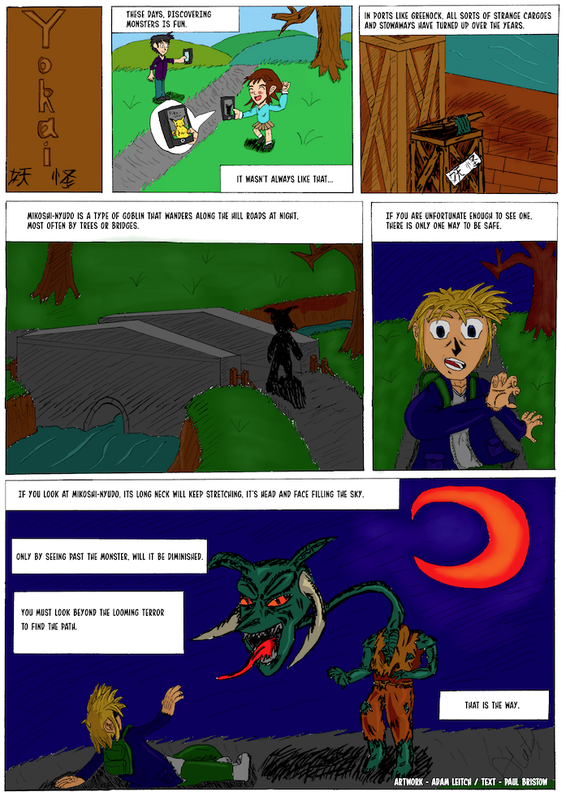 Adam is an artist, and so we gave him a brief script to work on - a lot to get done in a week...here's some of Adam's artwork, some thoughts from Adam and the finished piece Yokai - which is appropriately spooky for Hallowe'en. My name is Adam Leitch. 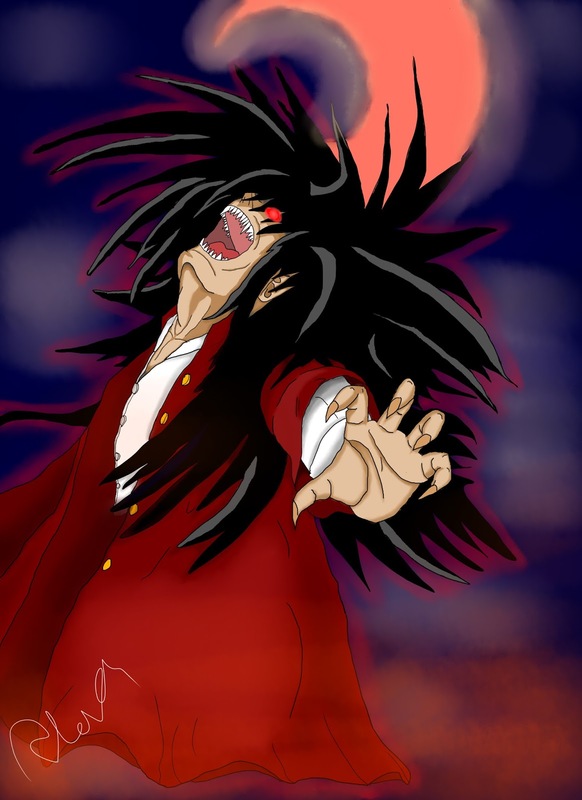 I am 15 years old and I love drawing manga. 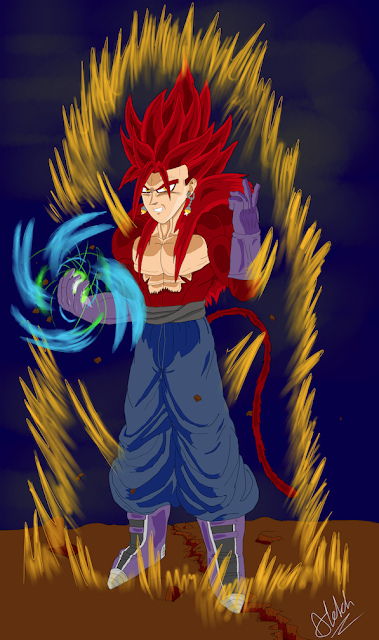 I especially like drawing fan art of Dragon Ball Z. I worked with Magic Torch for my 4th year work experience because I want to do something related to illustration when I leave school. I have also attempted to draw my own manga using both traditional inking methods combined with digital drawing software for colouring. We have been out and about distributing copies of our Galoshans Play to every Primary School in Inverclyde, every pupil will get a free copy - and hopefully some folks will begin performing their own versions of the play again. 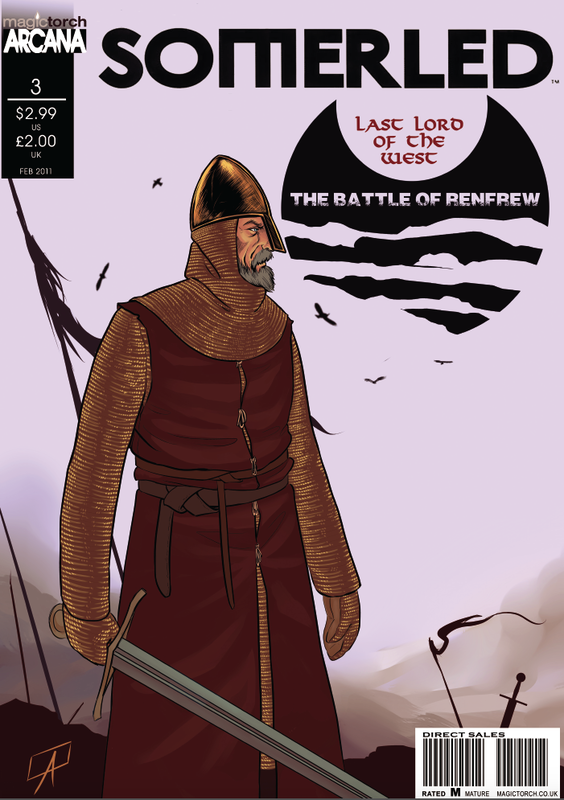 Copies will also be available from The Beacon and The Dutch Gable House during the Galoshans Festival weekend - be sure to grab one. And don't forget that we have two different versions of the play being performed at The Dutch Gable House this weekend, on Saturday at 12 and 3 we have a rehearsed reading of our new version of the play and on Sunday at 3 we have a puppet show performance from Sokobauno Theatre. Both are free but the puppet performance is ticketed - email aulddunrod@gmail.com for tickets. The Going Galoshans project is supported by Heritage Lottery Fund Scotland and Inverclyde Place Partnership.